Looking for a kendama? We offer a variety of models, and will be expanding our inventory. If you live in Ontario, particularly the Niagara or GTA area, contact us to purchase in person and save the shipping costs. We can also offer quantity discounts to our local customers. $24.00, shipping included to anywhere in the USA. Outside USA, contact us for shipping details. The Play kendama is probably the highest quality kendama produced in the world. German designed, it is the only kendama to be CE-compliant, and is tested by the TUV to guarantee compliance with European toy safety standards. It comes with an illustrated English instruction manual and a spare string. Please allow 3-4 weeks for delivery. 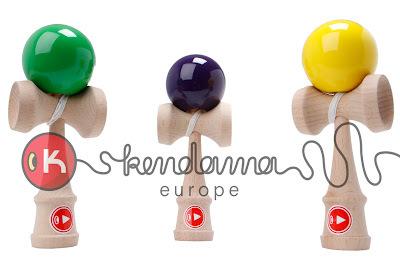 The Play kendama is available in purple, green, and yellow. $10.00, shipping included to anywhere in the USA. 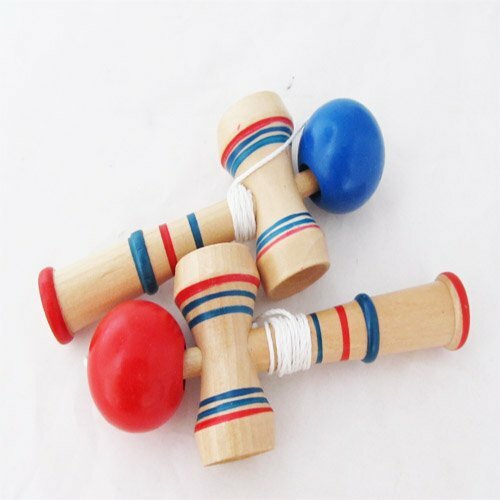 Suitable for travel, small hands, and children, the pocket kendama is smaller than the standard kendama. Random colour ball (red or blue). Please allow 3-4 weeks for delivery.